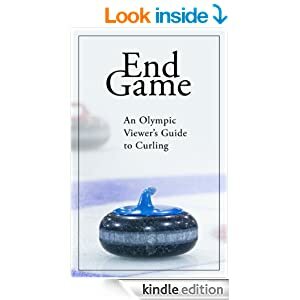 Well, the new Curling Season is here and though I’m disappointed in the end to golf season I am anxious for the Olympic Trials. The Olympics themselves, sadly, I’ve never had much interest in. Why is it every four years I’m suppose to get excited about sports which I’ve never cared to watch during the past 1460 days since the last Olympiad? I never tuned in to CBC for skiing during the World Championships in 2008, so why now? If not for Curling, Hockey, and perhaps women’s’ short track speed skating (it’s like a cat fight on skates! ), I’d likely pass on the entire thing completely. And don’t even get me started on the Summer Games – days on end of coverage from multiple networks, journalists, etc – and the only thing worth watching is 9.7 seconds of men running and a couple of laps in a pool (which took slightly longer). Better to watch the highlights on the internet after it’s all over. In any event, we’re back into the “sweep” of things and need to begin. Gerry Geurts of CurlingZone relayed this shot call to me and he may have not remembered exactly right, but the analysis should still be interesting. In the semi-finals at the recent Shorty Jenkins event, Kevin Martin was one down playing the 7th, with hammer, against Dale Matchett. Matchett had a rock in the outside rings, perhaps biting eight foot, and there was a slightly off-centre guard. Martin, on his first stone, chose to play for his deuce by drawing around the guard. Remember, this is an 8 end game and only the final end remains. Kevin is forgoing an attempt at a blank, attempting to take two, with an increased risk of being held to one or even giving up a steal. Draw: Assuming the draw takes away any chance of a blank, let’s determine how often Kevin must get a deuce to make this a correct call. W = .6d + .25(1-d). To complete this calculation, we need to compare against the scenario if Kevin hits the stone. If Kevin hits the open stone, Matchett either hits the Martin stone (trying to roll behind the guard I expect) or simply draws around the guard attempting to force Martin to a single point. When guessing what an opponent may do, we can estimate what the chance is they will make a certain play and evaluate further. For example, let’s start to analyze what happens if Kevin hits open stone. Martin will always hit and stick successfully. If hit and roll succeeds, Martin always draws for one successfully (assuming the roll puts the rock in the back rings). If hit and roll doesn’t succeed, a blank always occurs. Hit: Estimate a roll successful 25% of the time. It was an entertaining game last Sunday with Howard winning yet another Grand Slam. This was clearly one that could have gone the other way. An early steal of two had Glenn and his squad battling back. There were some timely misses by the Koe rink, but also some interesting decisions which may have provided them better opportunity to clinch a victory rather than being a bridesmaid for yet another Grand Slam final. I would tend to agree. At this stage he’s 2 up and if he does make a poor shot, at worse Howards gets a deuce and Koe’s odds are at 61% tied with 6 ends remaining. A steal would have put the Koe rink at odds of 89% chance to win. That is a chance you want to take during the Early Game, IMHO. Blake throws two draws. One appears 20 feet heavier than the next (according to the assessment by announcer Mike Harris). The sweepers are surprised and there is some discussion that his stones aren’t matched. How can teams at this level not have properly matched stones in a final of this type of event? Situation seemed very strange. Koe appears to be sitting third stone in the top eight foot, Howard is first, second and fourth. Kevin calls a hit on his own stone (driving it onto 4th rock), rolling across the house to then double the Howard stone. If successful, Howard would have a shot to hit and stick and sit two. Koe then would have had a double to force Howard to one. I thought the correct call on his first was the one he played on his final stone. Double the 1st and 2nd rocks and roll behind his other rock. If successful, Howard would be left with a choice to either draw around Koe’s top stone or attempt a difficult hit which appeared to be unlikely to allow him to sit two. Howard places a centre guard. Please see my articles from January 2009 and March 2009 for the analysis of why this not the “correct” call. I wonder if it was an intentional decision on the part of Howard to choose an alternate strategy, or if he is unaware of the analysis. 15% if Koe pulls out the miracle. The flip side is, a steal of one for Howard puts the odds at him winning to 63%. Howard’s call into the rings on his last was clearly an intent to tempt Koe into a big weight shot rather than a draw. He could have instead placed a guard, leaving him a draw – but Koe may have hit no matter what the result. Also, a poor guard could have left a soft double with the inturn and a possible deuce for Koe. Blake’s second shot, after much debate, Koe’s team agrees to play a run back. In their position the centre guard is a critical stone to help plug up the four foot in an attempt to force Howard to one. The risk of a deuce is worth the attempt to steal or force a single. Playing the run back was an attempt to take a three out of play – which ultimately succeeded. However, if Blake plays a freeze, Howard may again play a draw, but more likely remove the guard and give Kevin a chance to clear the house on his first shot – or have the option to guard again. If Howard draws, then the play is into the middle with a centre guard and likely a good position for Koe to force a single. Continually attempting run backs is generally counter-intuitive to what a team one up without in the second last end wants to do: force the play to the centre and force the opponent to a single and have a 75% or better chance in the last end – with a risk of giving up a deuce and having a 40% chance coming home. The small chance to steal one, leaving Howard a 12% to win, also supports a draw strategy. In Koe’s defense, playing to avoid a three was perhaps his motive and they were comfortable with that style. It is a case where the risk of a three is minute compared to the great advantage of forcing one or stealing – but sometimes it’s difficult for a team to want to take additional risk if they feel it could take them out of the game. Let’s attempt to analyze the shot call. This involves VERY rough estimates of final outcomes, but allows us to examine how to reach a decision. If Howard scores a deuce more than 60%, then Koe wins less than 53%. The decision appears close. Ultimately, it depends on Koe’s estimation of Howard’s chance at scoring 3 and ensuring that Howard never scores 3 when they attempt the run-backs. I would prefer the draw but it is closer than I had first thought. Blake’s first rock, they attempt to come around Howard’s stones staggered in front of the rings. An alternate play would be to double those top stones out and sit 2nd and 3rd shot. By playing to the middle it left a greater chance of only a single and increased chance of a steal. This is the style of play I suggested earlier Koe could have chosen in the 7th, but here the opposite is perhaps true and opening up the play may have increased his chance at a deuce and provided a greater chance at a single if he needed a draw on his last. A good game and one where a few more made shots on the part of Koe’s rink could have changed the outcome. Whether the decisions we’ve examined here may have had any difference is up to the reader to determine. Until next month, Happy Halloween!